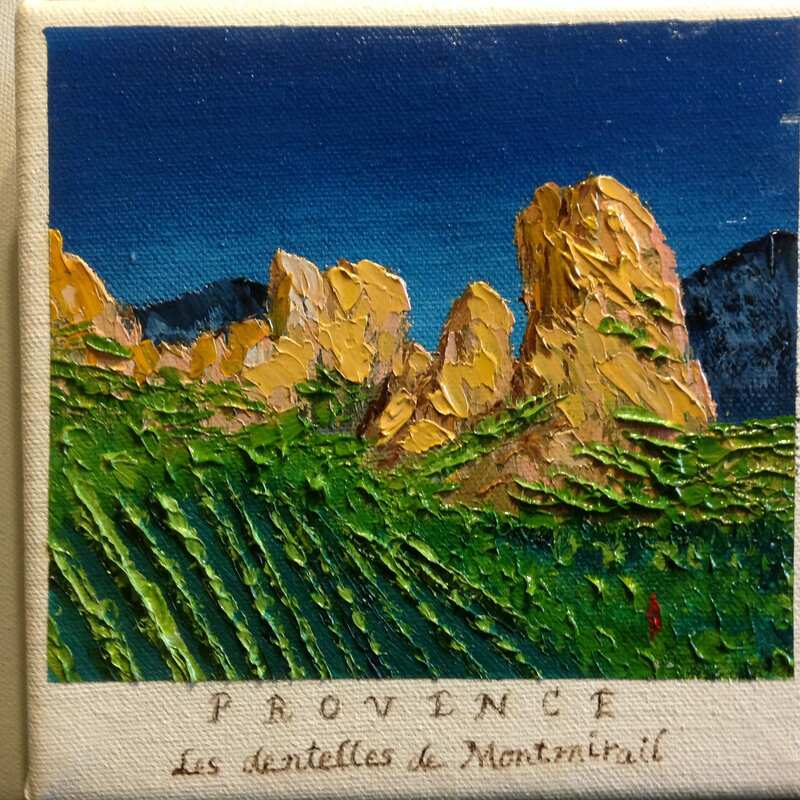 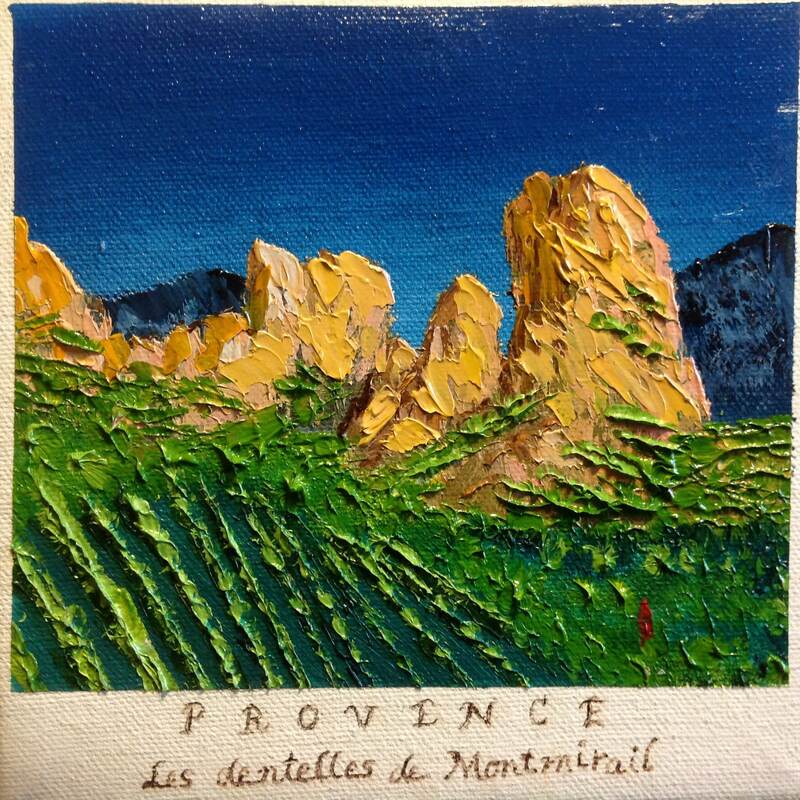 PROVENCE VINEYARDS is an original 6" x 6" oil painting on a canvas. 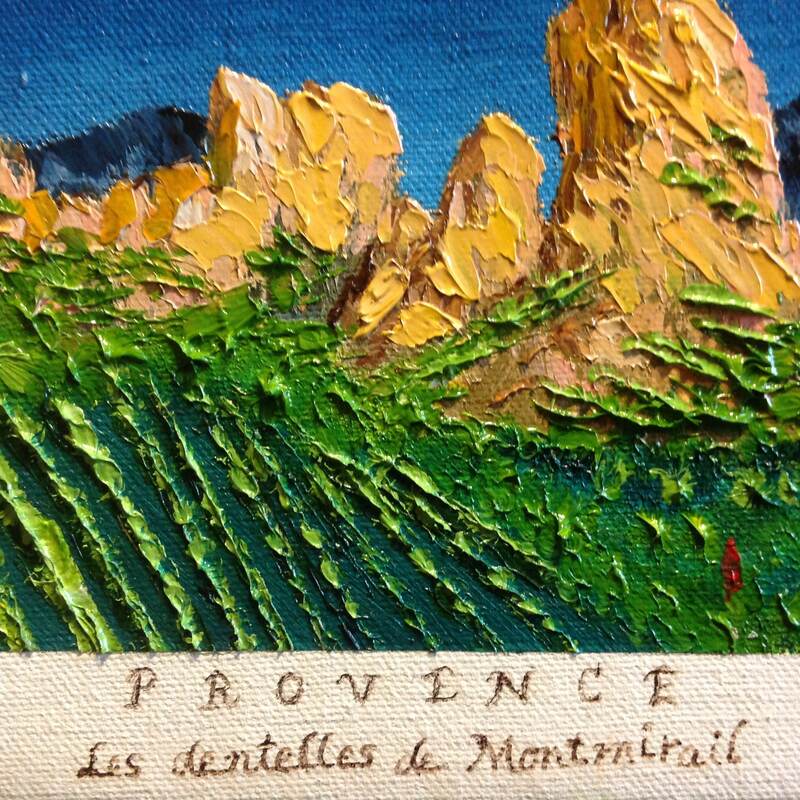 It is an impressionistic picture of the vineyards in Provence, France. 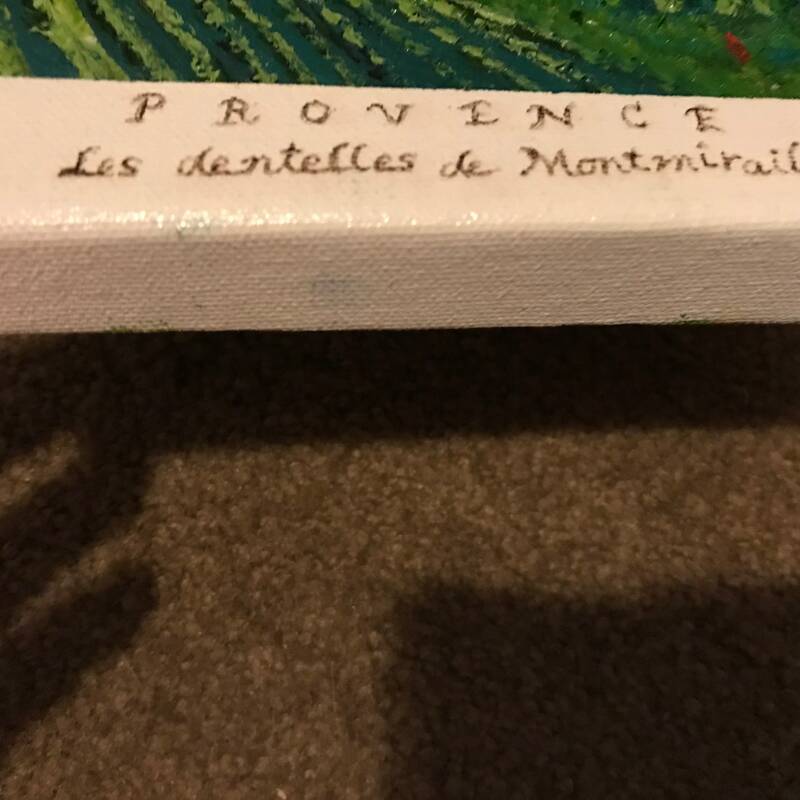 I painted this from a picture I took when I visited the area. 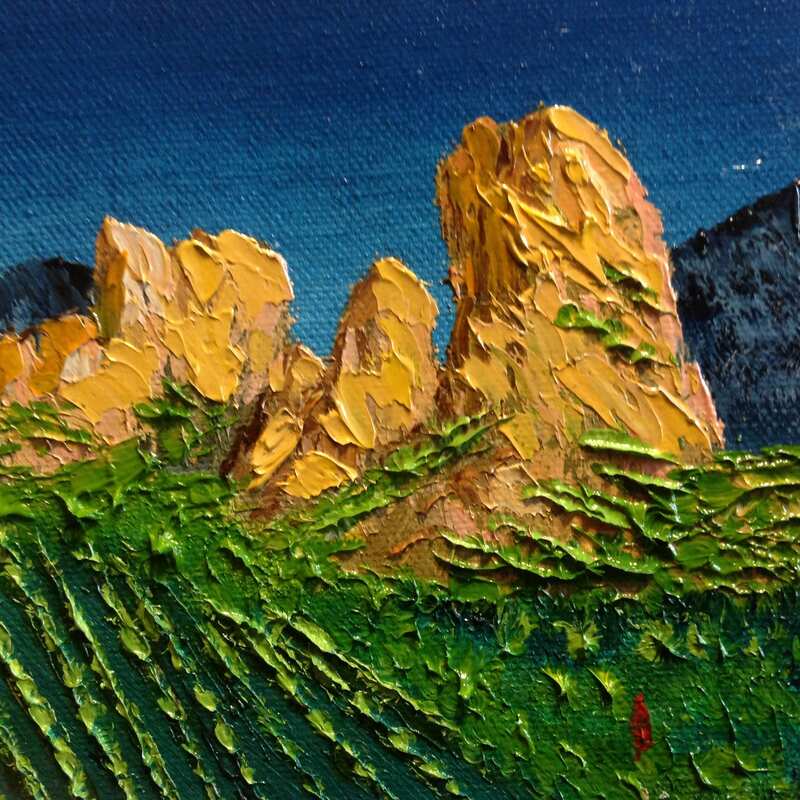 The colors are deep and bright. 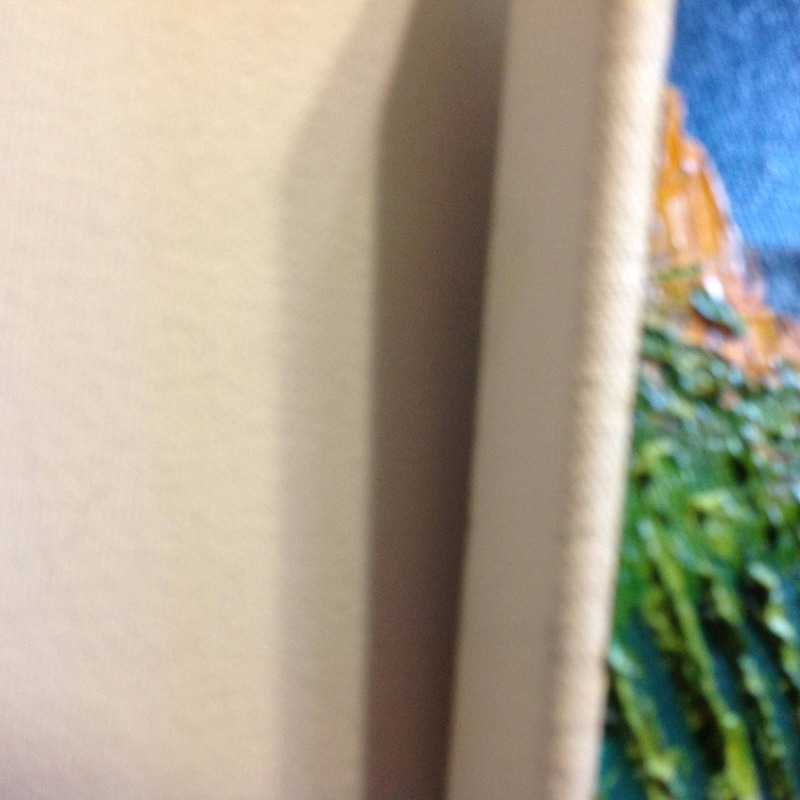 There is a white border around the picture and lettering at the bottom of the district where this is. 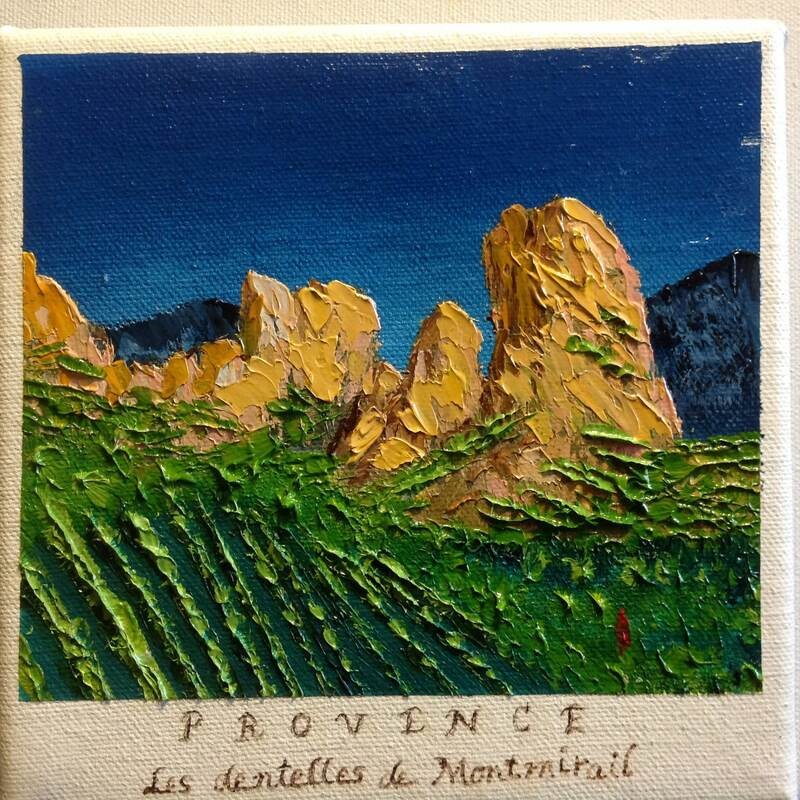 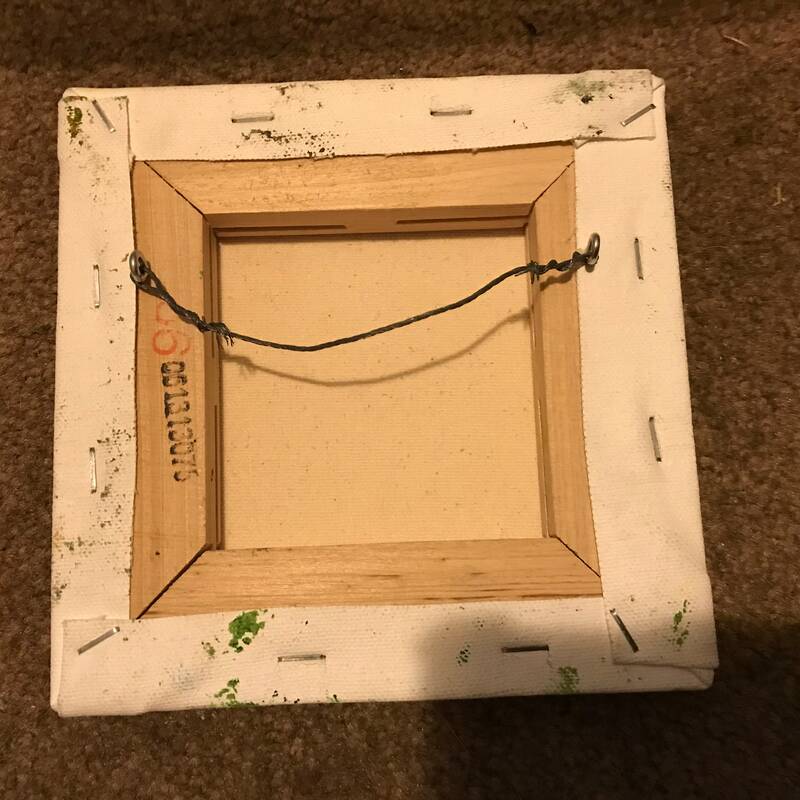 It's painted with thick impasto paint and the colors are vivid.